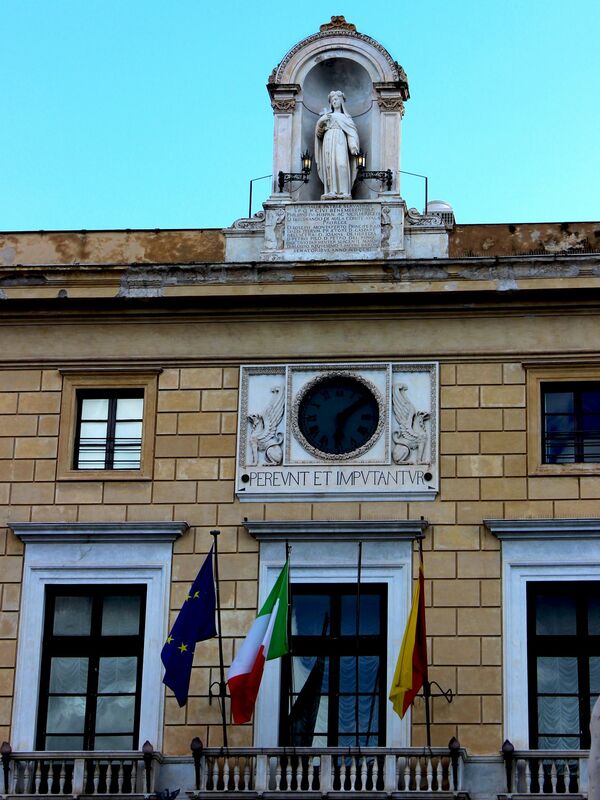 The first City Hall (known as Palazzo Pretorio) was founded in the early 14th century by Frederic 2nd Aragon. 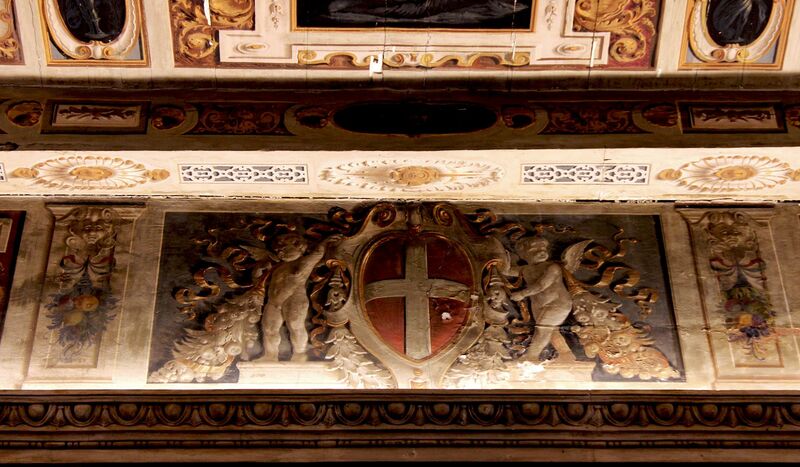 But it took some 150+ years to see it completed what finally happened in 1470 thanks to the leadership of Pietro Speciale. The quadrangular structure with the central court had entrances on each side of the building, however the main one was facing the churches San Cataldo and Santa Maria dell’Ammiraglio on today’s Plaza Bellini. At those times the presence of two magnificent medieval churches dating to early Norman times made the piazza (whatever 1875 was its original name) the central point of the city. 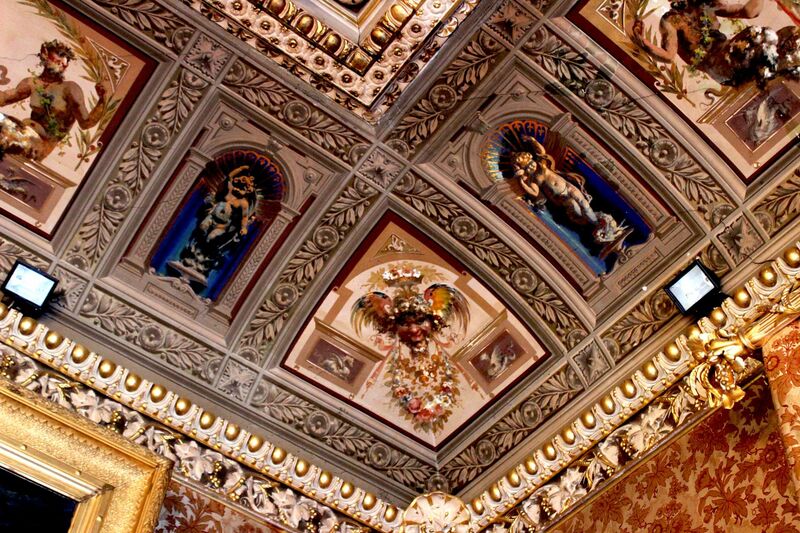 During the following centuries the palace underwent several expansions to meet the needs of the growing metropolis. The last major works were carried-out in by the architect Giuseppe Almeyda who gave the palace the current neo-Renaissance look. The new architectural concept also “turned” the City Hall towards already much more prestigious Plaza Pretoria making the side facing the fountain the main one. 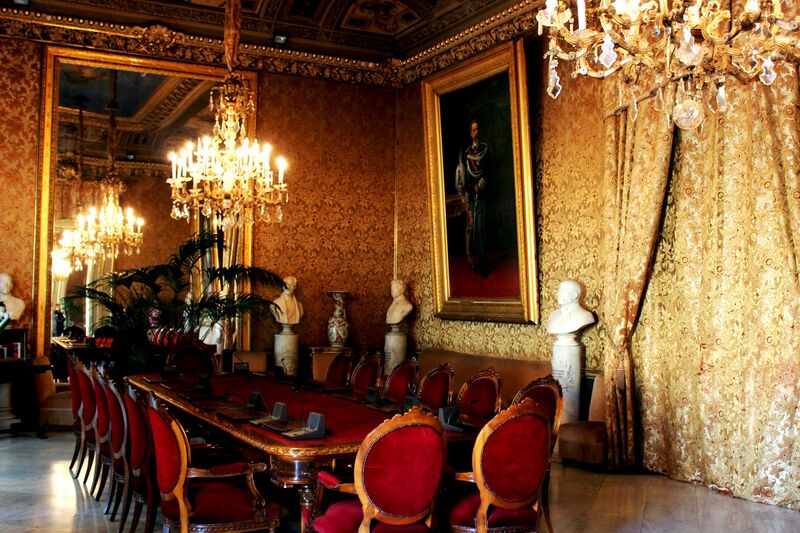 On the way, the palace also changed the name to Palazzo Senatorio. 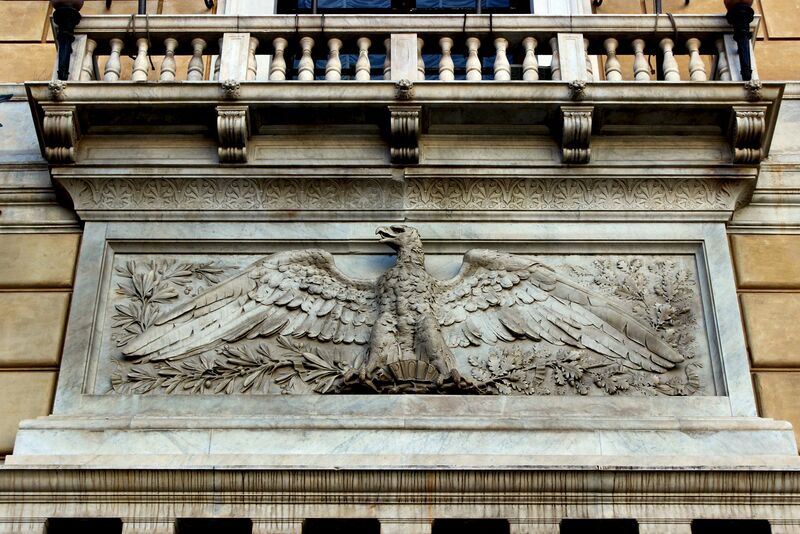 Today the seat of Palermo’s City Council is also often called Palazzo delle Aquile (Palace of Eagles) due to numerous eagles (heraldic symbols of Palermo) decorating its façade and portals. 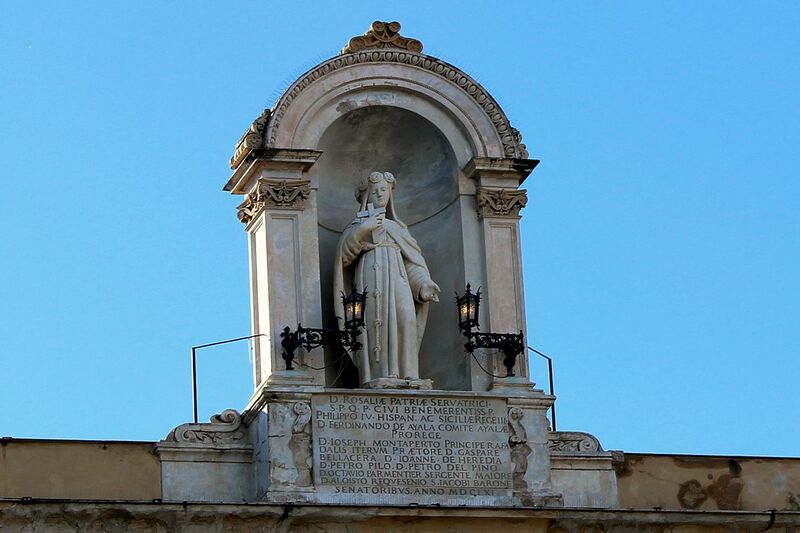 One of the oldest fragments of the building is the statue of the protectress of Palermo - Santa Rosalia. 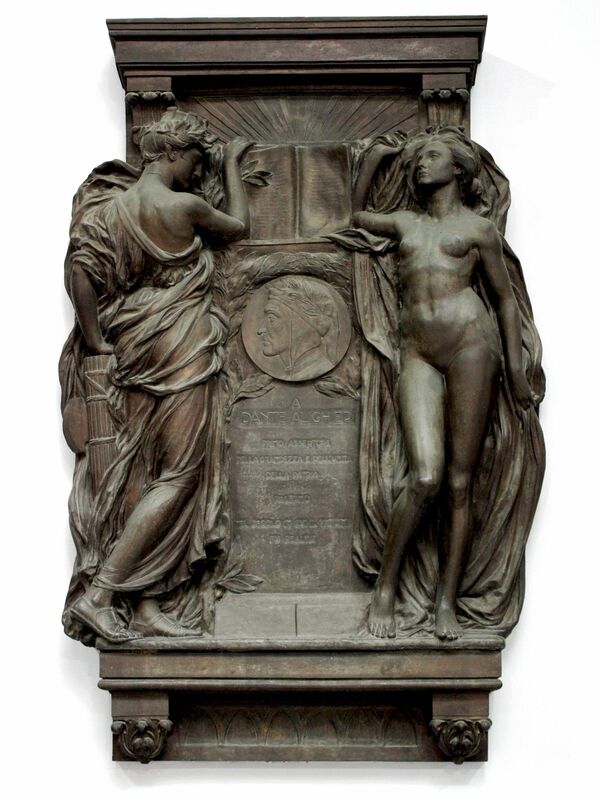 Created in 1661 by Carlo d’Aprile it overlooks the Plaza Pretoria from the niche at the top of the façade. 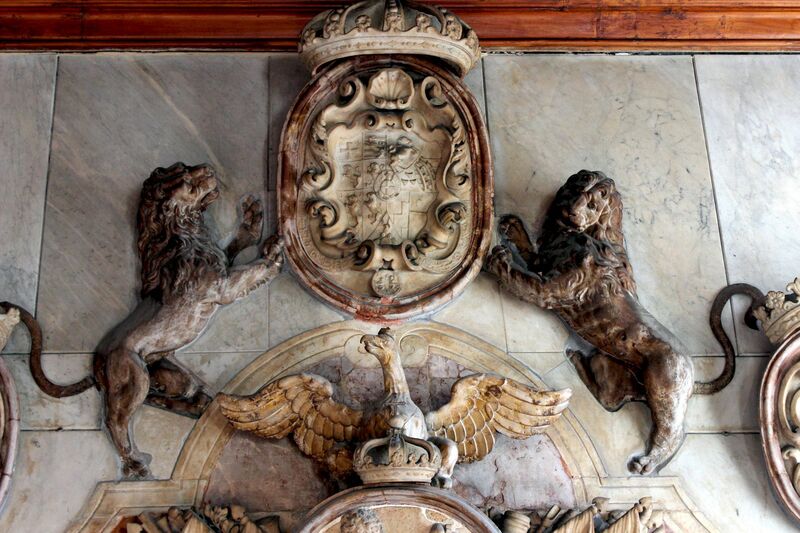 Below the statue, patiently keeps ticking the large 19th century clock flanked on each side by lions…. 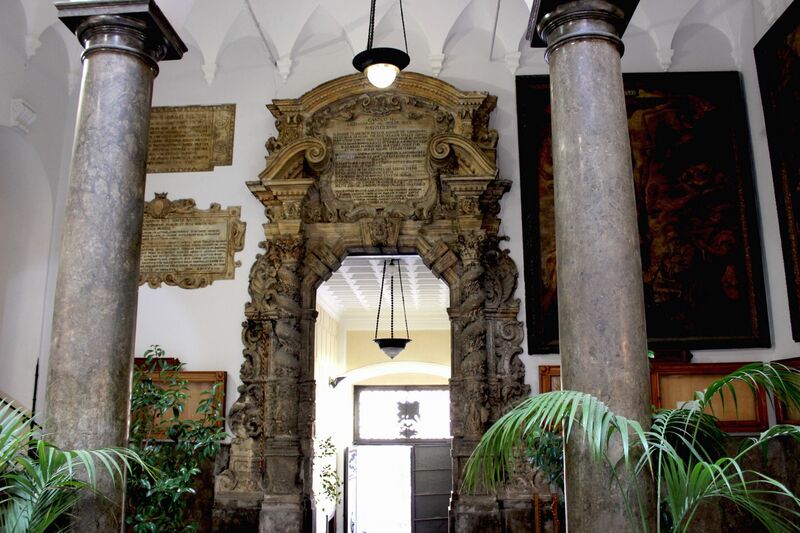 The entrance leads to the hall with richly ornamented portals, numerous Latin inscriptions quoting such ancient personalities like Marcus Aurelius, Diocletian, Claudius…. and several statues. 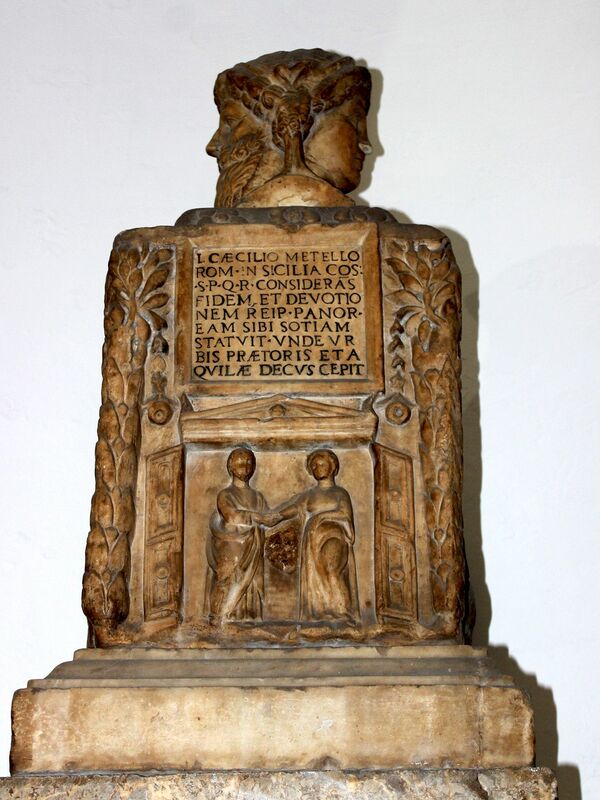 The most intriguing seems to be relatively small figurine of “Palermo lu Pichulu” (Genius of Palermo) - probably the work of Antonio da Como dated to the 15th century. 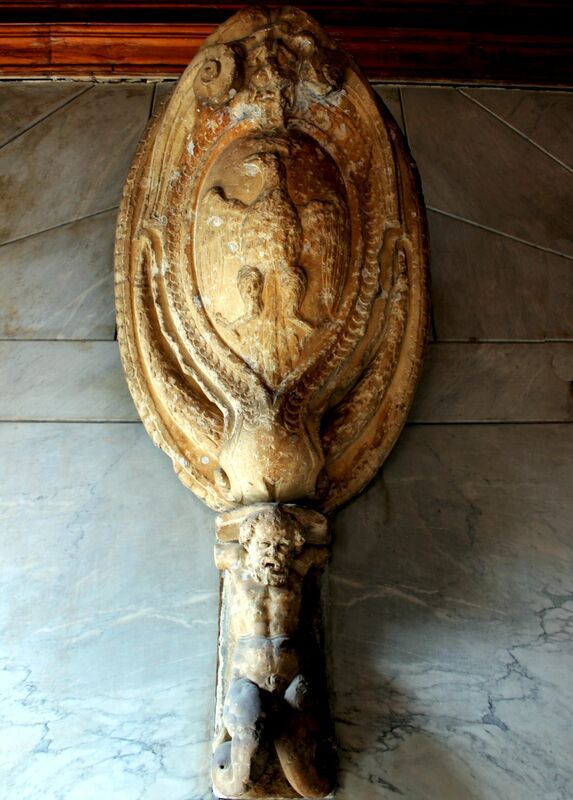 It’s the statue of an old man holding a serpent in his hands. 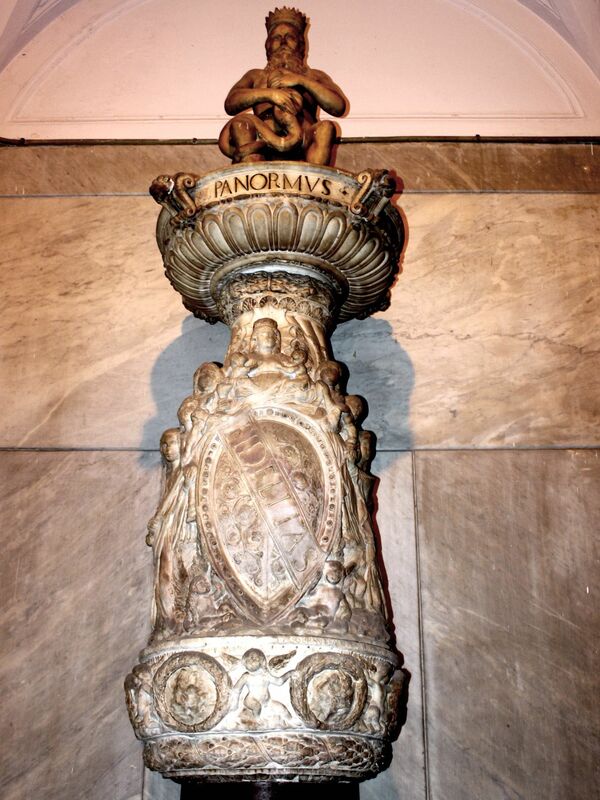 He sits on the top of the half-porphyry and richly ornamented half-marble column with inscriptions of which one displaying the Greek’s name of Palermo – Panormus is the most visible. 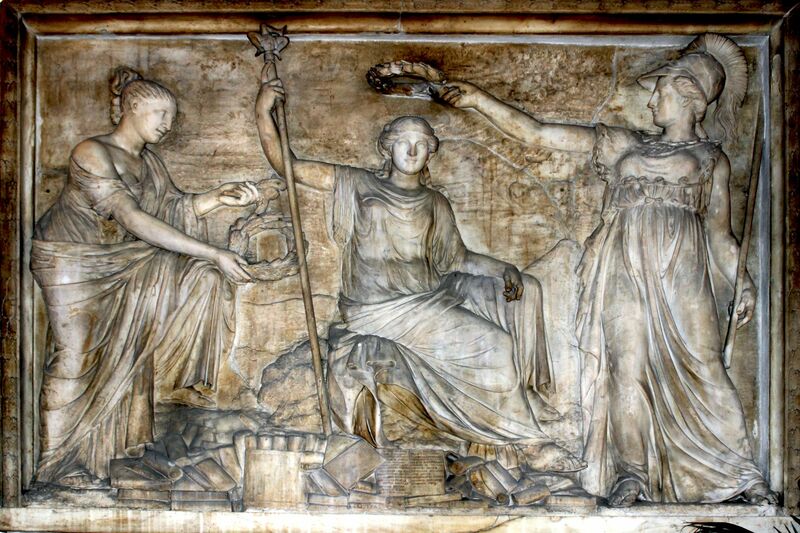 In the pagan times the “Genius” was considered as a protector of families and businesses. 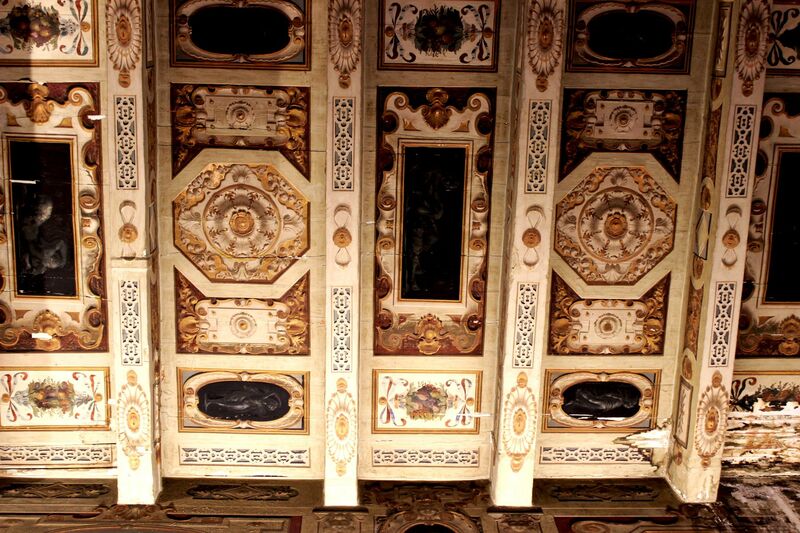 The richly decorated Baroque portal at the ground floor is a testimony to the 17th century “incarnation” of the palace. 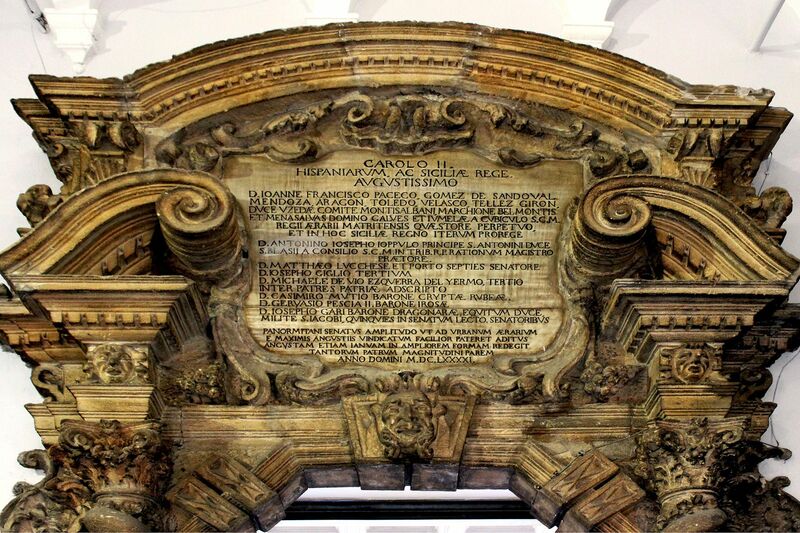 The portal was designed by Paolo Amato and built in 1691 at the request of Charles 2nd – king of Spain, Naples and Sicily (some claim it reflects his “bad” taste). The section of the palace available for visitors has character of museum, despite the fact that some rooms are still used by the City Council. 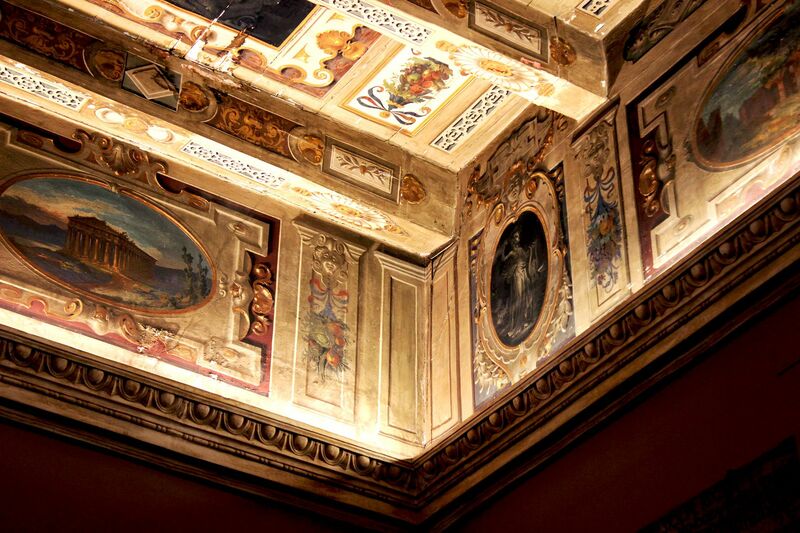 Montalbo Room (also known as Antinous Room) with large collection of paintings by respectable Sicilian artists (N. Giannone, A. Rocchetti de Torres, S. Marchesi….). 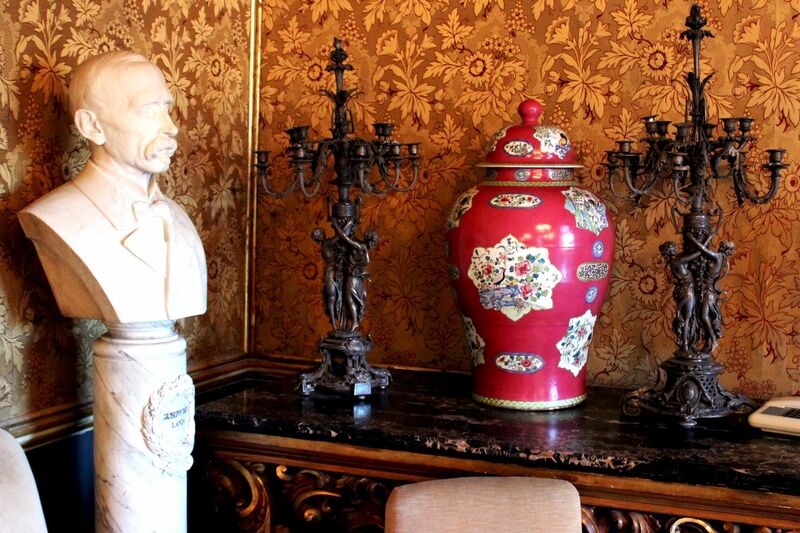 The room also displays marble busts of city’s mayors from the end of the 19th century. 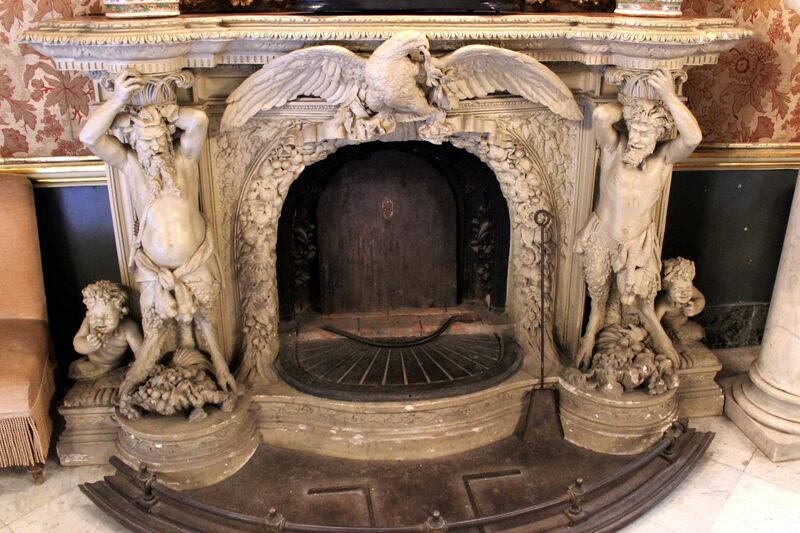 The bottom line is that Palermo’s Senatorial Palace deserves your time. I’m stressing this fact, because usually once we see a “government” building we somehow assume that by definition it only houses “bureaucrats”. 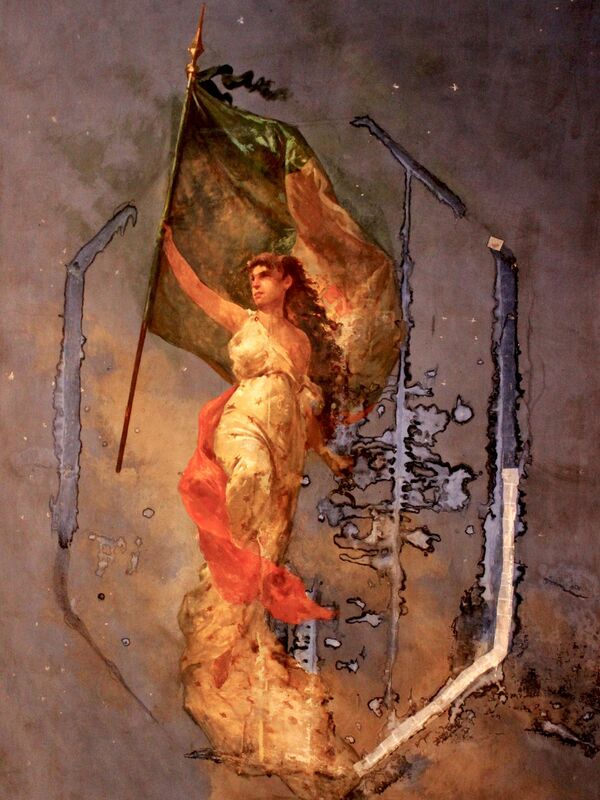 Palermo proves that it is not always true!